This chapter discusses the centuries-long relationship between the US and France in terms of history, politics, and, above all, music. American and French popular culture have been intertwined for almost as long as either state has existed. 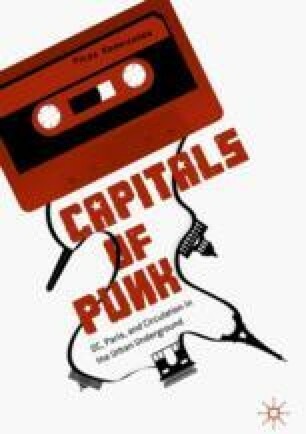 This chapter also discusses how local record labels like Dischord and Postcard have documented that circulation on both sides of the Atlantic.